Certain dogs and cats have longer hair than other breeds. These breeds need to be regularly combed to avoid snarls and knots. However, the unexpected knot does happen from time to time. Our comb helps you break through the knots with a gentle combing action. Your pet will never be in any discomfort! Our comb is designed with recessed rolling blades behind the bristles. 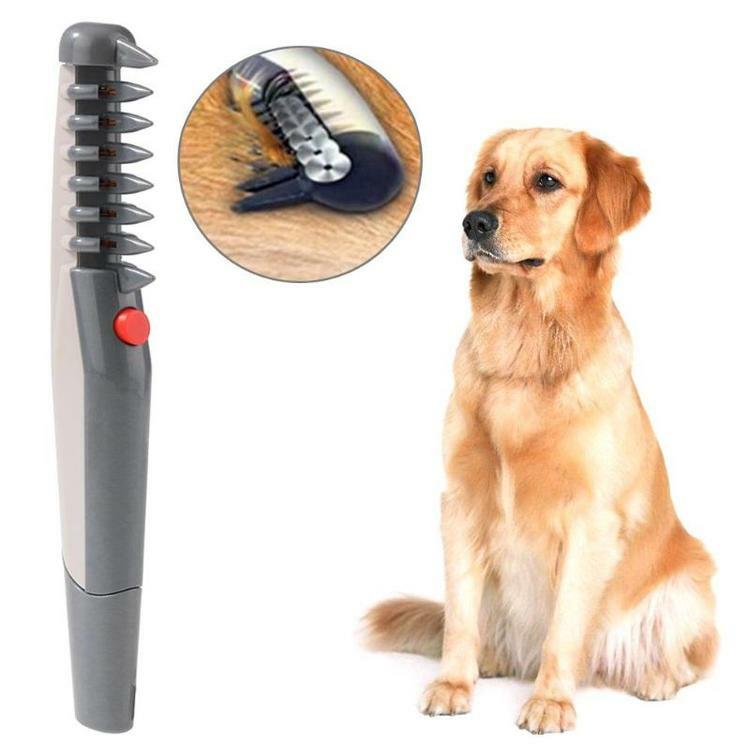 When you happen upon a knot or snarl, simply press the button and the comb will easily pass right through it, pain-free!